Whether you are new to selling or already own an e-commerce shop, you know that beautiful product photography is the key to selling online. 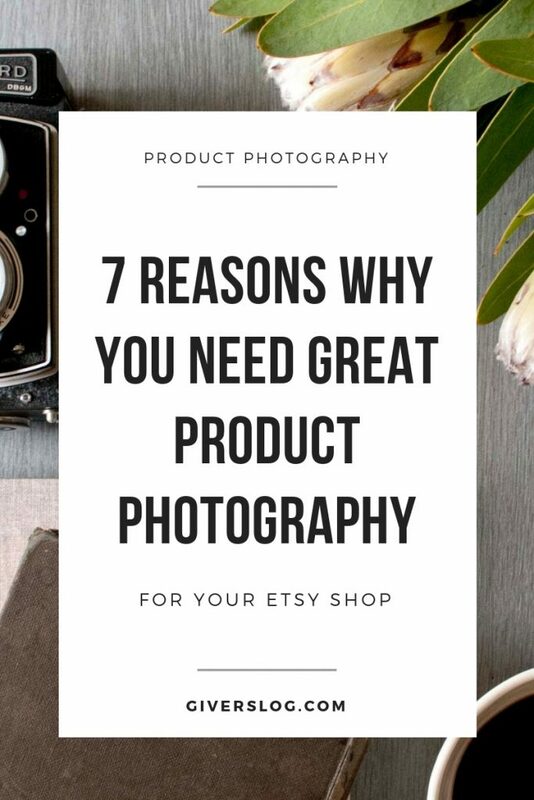 Keep reading to learn the 7 reasons why improving your product photography is the most important thing you can do for your Etsy shop. We live in a fast-paced, visual world. And when we’re shopping online, compelling visuals matter even more. Shopping online is not like shopping in a small boutique or department store. When you shop online, you can’t pick up the product. You can’t touch it to feel its texture. You can’t hold it in your hands to feel its weight. And you can’t smell it, open it up, or turn it over. Instead, you make your purchasing decisions based on product photographs. And when new visitors land on your shop page, they do too. Don’t just take my word for it — the data backs it up. Eye-tracking studies show that visitors look at visual elements — like product photography — first. Visitors form their first impression of your shop in less than a second. Online shoppers also think that product photos are more important than product information, reviews, and ratings. In Etsy’s buyer surveys, 90 percent of shoppers said the quality of the photos were “extremely important” or “very important” to a purchase decision. You are reading that correctly! High-quality photos are more important than price, shipping, and reviews! That is why high-quality, beautiful product photos are essential to the success of your online shop. In the first few seconds of landing on your site, visitors evaluate your products through your photos. And if they like what they see, they are more like to browse, click, and make a purchase. Keep reading to learn 7 reasons why great product photography is so important to the success of your online shop. 1. Great product photos help your store stand out in search results. There is so much competition in online marketplaces like Etsy. What makes a shopper click on your product thumbnail, versus the 60-odd other products on the page? Great product photos help your items stand out in a crowded marketplace and entice shoppers to click on your product. Yes, optimizing your listings for search discovery is important. But, getting on the first few pages of search results is only half the battle. Even if you rank well, if no one clicks your product thumbnail, you won’t make sales. You need an enticing, clickable image to compel people to click through to your shop page. Clear photos that show off your product grab the attention of shoppers and compel them to click. 2. Branded product photos attract the right type of customers. The best kind of product photos not only shows off your products — they also create a feeling you want your customers to experience when they see and use your products. Brick and mortar stores can create a specific mood through lighting, music, and decor. You can create a similar mood in your product photography — one that attracts and resonates with your ideal customers. If your brand’s personality is modern and fresh, you can create images on a clean white background with minimal props. If your brand is feminine and playful, you use a pastel-colored background and include floral and pink props. Your ideal customers will resonate with the visual story you create in your product images. When you create styled product photos that create a mood your customers love — you’re building the know, like, and trust factors that translate into purchases. 3. Clear product photos answer customer questions. We’ve all heard the saying that “A picture is worth a thousand words.” And in the case of product photography, it’s absolutely true. Before making a purchase, customers want to be sure they know exactly what they are buying. Your photography’s job, if you will, is to answer all of your customer’s questions. How large is the product in real life? Is the color accurate, or will it look different once I get it home? How is it packaged? Will it break in the mail? Customers are more likely to click and buy when you have clear photos that highlight your product’s best features. Clear, high-quality product photos communicate all the details of your product — helping shoppers make confident, informed purchases. 4. High-quality product photos communicate the value of your products. Great product photography increases the perceived value of your product. The quality of your images will determine how your customers think about the quality of your products and your shop as a whole. Think about the last time you were shopping online and came across a bad product photo. Maybe it was a poorly lit, unedited snapshot on a cluttered background. (ahem, eBay?) Maybe the item was a good brand, expensive, and otherwise high-quality — but the bad photos immediately brought down its perceived value. You clicked away, and they lost the sale. Alternatively, a great product photo supports the value of your product — and the price you’ve chosen. Professional-looking photos make your whole shop seem professional. A high-quality photo makes your product look as high-quality as it is. 5. Clear product photos can help increase customer satisfaction. Customers like knowing exactly what they are buying. Clear photos set clear expectations for shoppers. Your photos tell your customer exactly what they will receive in the mail — reducing negative reviews, returns, and exchanges. How many times have you seen a 3-star review because the buyer thought the item was supposed to be a different size? Yep, it happens all the time. That’s why it’s so important to have product photos that visually communicate how big (or small, or green, etc.) your product is. Set clear expectations for shoppers with high-quality product photography — it’s good customer service. 6. Beautiful product photos create a consistent visual brand across platforms. Your product images communicate your brand’s unique voice and personality — not only on your product page but on your social media and offline marketing channels. A consistent look to your photos makes your business look trustworthy and professional. 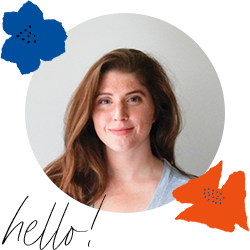 Customers recognize your images as unique to your brand — building trust, loyalty, and sales. Think about what elements you can use in your photos — like the color palette, props, composition, light and shadow, and backgrounds — to tell your story. And then, be consistent in implementing these elements to create a consistent brand story across your shop, social media channels, and offline marketing. To learn more about social media, check out Etsy Tips: 4 Myths about Social Media. 7. Compelling product photos get your products featured. One of the best ways to create exposure for your shop is to be featured on high-traffic blogs and websites like Etsy. If you want to catch a blog editor’s eye, you need striking product photos. Want to get featured on Etsy? Here’s what they say they are looking for in images. Another way to increase your chance of being featured is to use props and background that place your products into the larger context of seasonal and holiday trends. This can be a great way to fit your product into lifestyle stories and the larger blog landscape. For more Etsy marketing tips, be sure to check out all of my Etsy Tips posts.